Short codes are the essence of the email builder as they are used as placeholders for dynamic data. 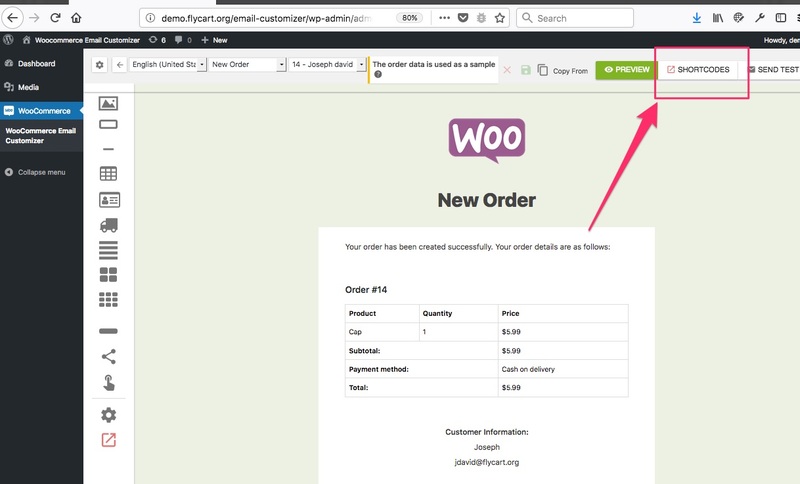 Example: [woo_mb_order_id] When used, this short code will be replaced with the actual Order ID in the email notification sent to the customer after he places an order. Where to find all the short codes? Below are the available list of short codes. In addition to the short codes provided, you can also create additional, custom short codes and write an output logic for it.